Just two days after North Korea embarrassed both the US and Japan by test-firing a new, nuclear-capable ICBM with a 2000 mile range, with neither Trump nor Abe able to articulate a clear retaliation strategy, moments ago Yonhap news agency reported that the elder half-brother of North Korean leader Kim Jong Un has been assassinated at Kuala Lumpur airport. Kim Jong Nam, 45, who had lived outside North Korea for years, was reported to have been killed by poison needle by two women who fled the scene by taxi, the reports said. 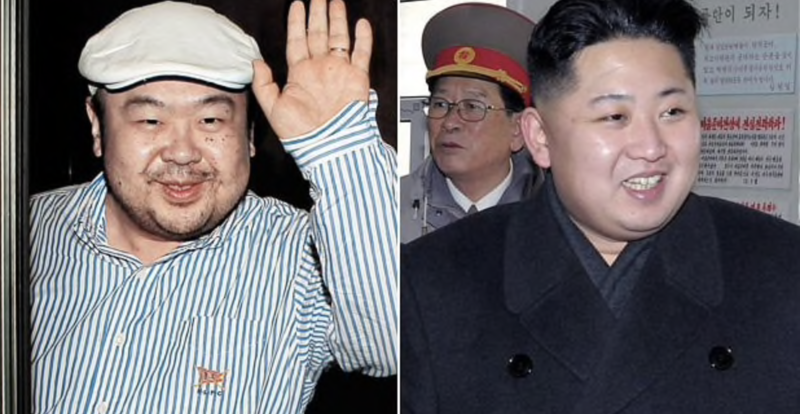 He was once considered to be the heir to late North Korean leader Kim Jong Il but he fell out of favor with his father in 2001 after he was caught trying to enter Japan on a false passport, and was arrested at Tokyo airport, apparently en route to Disneyland. Kim Jong Nam had been critical of Kim Jong Un, reportedly saying in 2012 that he “won’t last long” because of his youth and inexperience. The two brothers have different mothers, Bloomberg reports. Who is behind the murder? As BBG adds, Kim has carried out a series of executions since taking power in 2011, the most high profile of which was the 2013 killing of his uncle and one-time deputy Jang Song Thaek. If Kim Jong Nam was killed by a North Korean spy, it indicates that Kim Jong Un felt a sense of paranoia about his own future and wanted to remove any potential successors, according to Namkoong Young, who has been teaching inter-Korean politics at Hankuk University of Foreign Studies for more than 25 years. Of course, it is just as likely that a certain spy agency could have staged the murder, making it seem like it was preemptive retaliation by Un. For now there are no further details. A person in the Malaysian prime minister’s office, who did not want to be named, confirmed that a North Korean national had been killed at the airport and taken to hospital. The person said police were still waiting for the autopsy report. South Korean officials have yet to comment publicly on the matter. Malaysia’s foreign ministry is still waiting for information from the police on the identity of the deceased man. The death is under the purview of the home affairs ministry, she said. The police didn’t immediately respond to a request for comment. In 2014, Kim Jong Un had about 50 officials executed on charges ranging from graft to watching South Korean soap operas. Two senior officials were executed with an anti-aircraft gun in August last year on Kim’s orders, South Korea’s JoongAng Ilbo newspaper reported, citing people it did not identify.